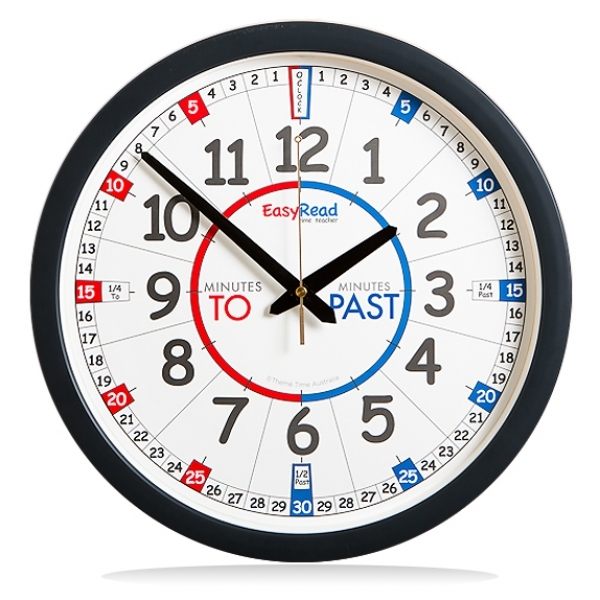 The EasyRead Classroom Clock is designed for primary school classrooms to eliminate the problems experienced when teaching children to tell the time in minutes-past and minutes-to the hour. 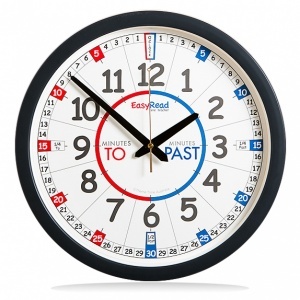 The EasyRead dial and 3 Step Teaching System distill the process of telling the time down to 3 simple steps that any child can understand and remember. 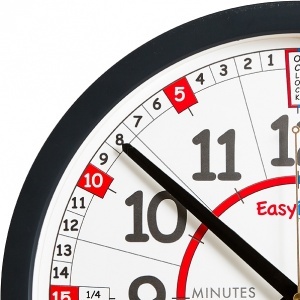 Having the teaching clock as a real clock on the wall is a much more natural way to learn than pulling a resource out of a cupboard for a specific time-related lesson. 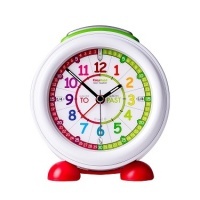 The clock can be referred to by teachers and students at any time and incidental and visible learning will take place as a matter of course. 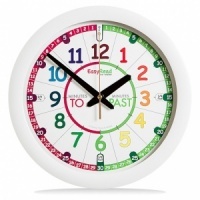 *The clock dial displays all the required information. 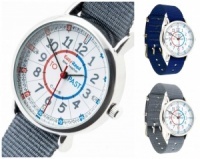 *The 3 Step System teaches how to read the clock. *It’s big enough to be clearly seen from the back of the classroom. 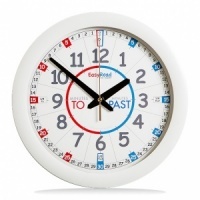 *It looks like a regular analogue clock. *It teaches ‘minutes past’ and ‘minutes to’ in 3 simple steps in less than 5 minutes. 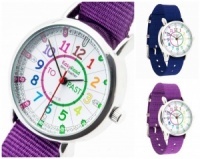 *It saves teachers time and builds children’s confidence. Also, it's silent... no ticking! 35cm diameter. Large clear face. (Requires a single AA battery - not included). Suitable from age 5+.